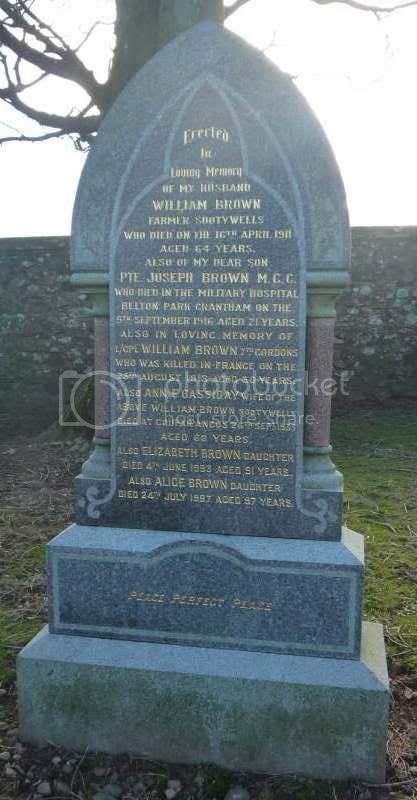 Additional information: Son of Annie Brown, of 4, George St., Coupar Angus, and the late William Brown. 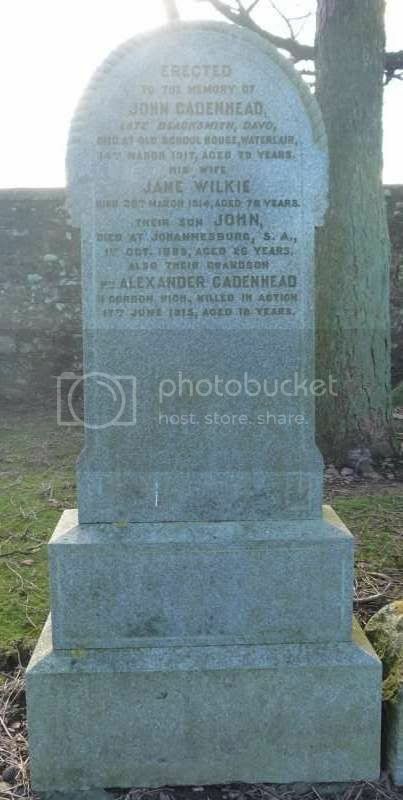 Grave/Memorial Reference: Grave R. 27. Regiment/Service: Regina Rifle Regiment, R.C.I.C. Grave/Memorial Reference: IX. B. 14. 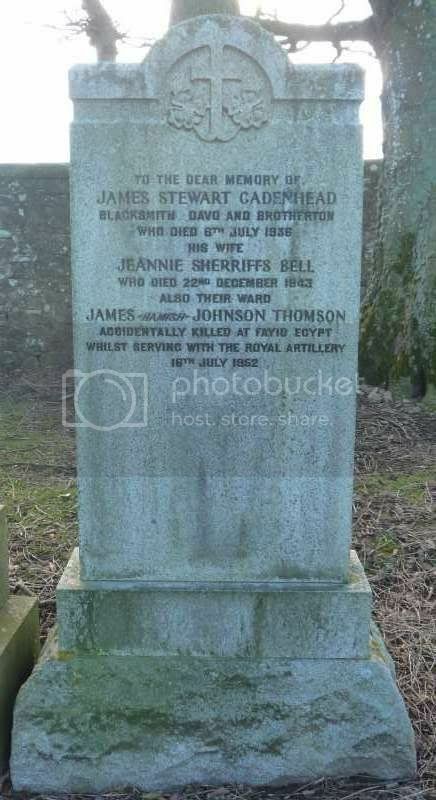 The family grave has no "P" in Thomson, unlike the AFM entry. The Royal Regina Rifles is a Primary Reserve infantry regiment of the Canadian Forces. Prior to 1982 the regiment was known as The Regina Rifle Regiment. The Royal Regina Rifles are part of Land Force Western Area's 38 Canadian Brigade Group. The regiment, nicknamed "The Johns" during World War II because of the high proportion of "Farmer Johns" in its ranks, perpetuates the 28th Battalion of the Canadian Expeditionary Force. The Regina Rifle Regiment was created from the 1st and 6th Battalions of the South Saskatchewan Regiment on 15 May 1924 following extensive reorganizations of the Canadian Militia. The Regina Rifle Regiment existed as a single battalion militia regiment until 1939. 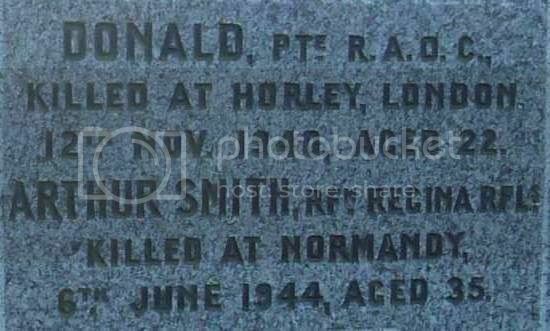 During the Second World War it received 14 Military Medals with one bar to that award, seven Distinguished Service Orders, seven Military Cross awards, a British Empire Medal, an Africa Star, three French Croix de Guerre, and a Netherlands Bronze Lion. Many more were Mentioned in Dispatches. The regiment suffered 356 fatal casualties by 7 May 1945. Its first taste of combat came in Normandy, landing on Juno Beach on D-Day. It later faced the 12th S.S. 'Hitler Jugend' Division which was almost completely annihilated by the British and Canadian forces. The regiment later entered Caen. 1st Battalion, Canadian Active Service Force, mobilized 24 May 1940, moved to the UK in August 1941 as part the Third Canadian Division, fought in Northwest Europe from June 1944 to May 1945. Disbanded 15 Jan 1946. 2nd (Reserve) Battalion, did not mobilize. 3rd (Active) Battalion, mobilized 12 May 1942. Did not leave Canada. Redesignated "2nd Airfield Defence Battalion (The Regina Rifle Regiment)" 19 July 1943. Disbanded 15 November 1943. 4th Battalion, Canadian Army Occupation Force, raised 1 June 1945, Disbanded 4 April 1946. In 1946, the regiment reverted to a single battalion militia regiment. Thank you for ther data. I've amended the entry to show this information. Firstly, thank you for this wonderful web site. I have visited Garvock, but many can not travel. 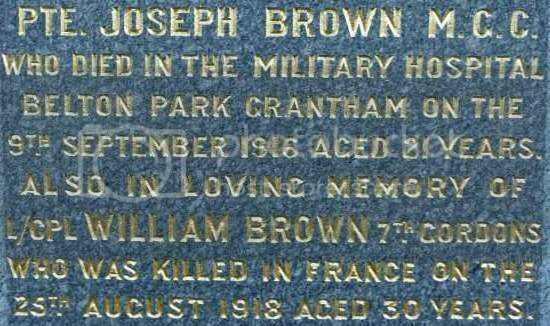 Joseph Brown was my Grandmother's brother, and William her half-brother. Anyone wishing to know about them can contact me. I visited the memorial in France and have photographed William's name there. Regards, Fred King, New Zealand.